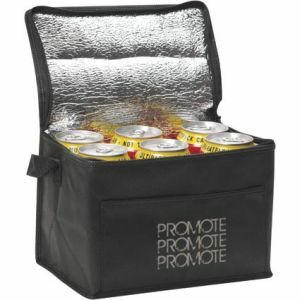 Insulated branded cooler bags are one of the summer’s ‘must have’ items, even here in the UK. 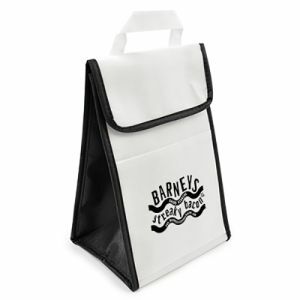 Whether your customers are heading to the park for a picnic or want to keep their sandwich or salad edible for the lunch break, they offer a guaranteed use to almost any customer, as well as guaranteed exposure for your company logo. 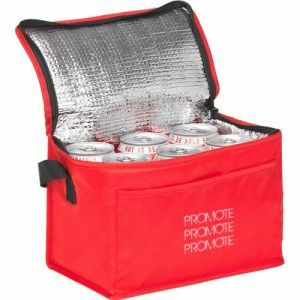 Of course, as with all promotional items and giveaways, it’s wise to think about your audience and what style of promotional cooler bag they are most likely to make use of. 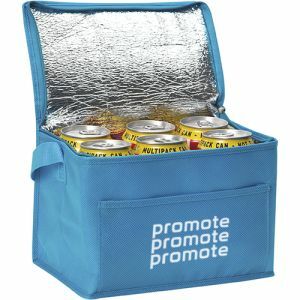 This will give you the best marketing potential and ROI and we have a wide variety of styles and colours for you to choose from to best fit your needs. 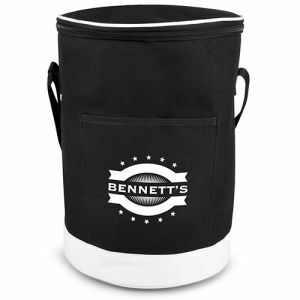 If your target market is sports club members or team supporters then the Tonbridge 6 Can Cooler Bags are the perfect size to keep six cans of beer or soft drinks cool in a compact sized, insulated bag that’s easy to stow away. 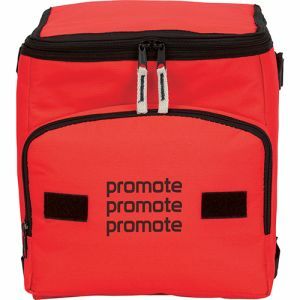 Available in a wide range of colours with single-colour or full-colour transfer print of your company, club or team logo, it’s also a budget-friendly option. In 2017, The Guardian reported that two-thirds of UK consumers visit a supermarket more than once a day, and one in 10 people decide what to buy for an evening meal shortly before they eat it – often stopping to shop on the way home. 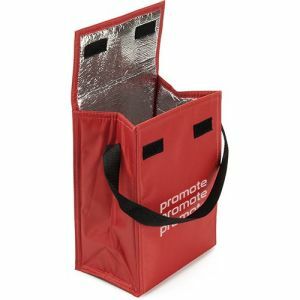 More recently, the Retail Think Tank finds people are shopping “more often and more frequently” so providing a handy promotional cool bag to facilitate this shopping trend could definitely put your business ahead of the curve. 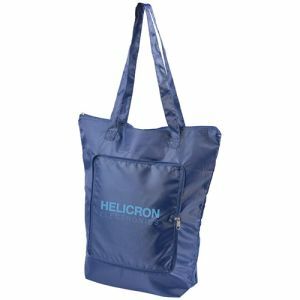 Assuming this trend continues, one of our newest products could be a fantastic option for your business: Foldable Cooler Tote Bags. 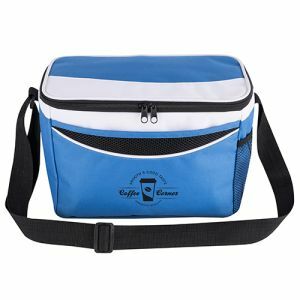 These clever printed cooler bags are folded into a small pouch when not in use and can be carried in a briefcase, handbag or jacket pocket then simply unzipped at the checkout. 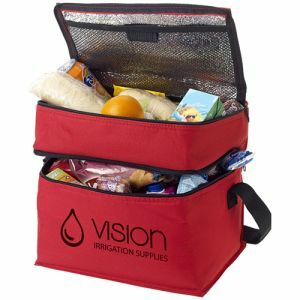 Add your company logo, and your business will be on hand to keep your customers' shopping chilled between the store and the fridge. 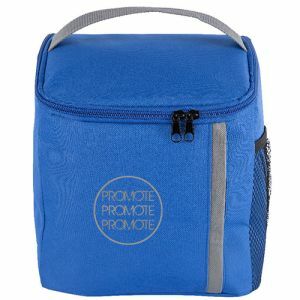 For picnics, events and festivals, a large branded cool bag would be useful but a hard plastic cooler or wicker basket take up a lot of space and tend to be heavy. 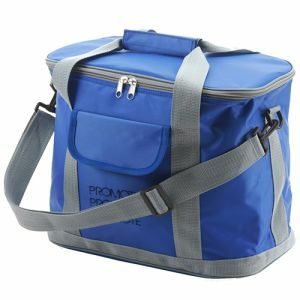 That’s where our Picnic Basket Cooler Bags are a real winner. 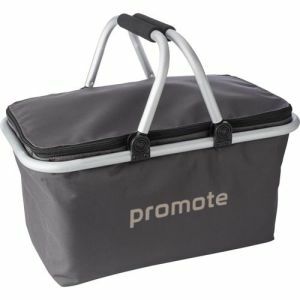 Made from hardwearing 320D polyester with an aluminium frame and foam grip handles, these promotional cool bags are lightweight with zip closure and can even fold down for easy storage. 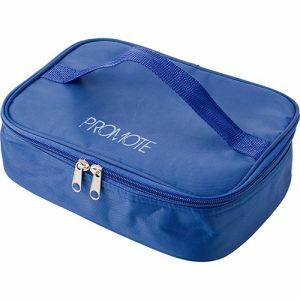 These are also perfect if you supply complete picnics to VIPs at music, opera and theatrical events, filled with delicious summer treats. 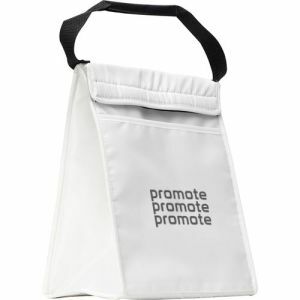 For lunches, there’s a choice of tall, short or flat printed cool bags so it’s worth thinking about your customers and which is the most likely shape of a promotional cool bag they would use regularly to ensure your brand gets as much exposure as possible. 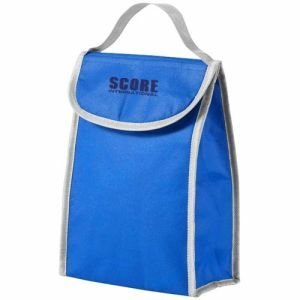 For schools and colleges, our carry cool bags are tall enough to take a reusable drinks bottle and include a clear ID window and carry handle with space for company or school branding on the front flap. 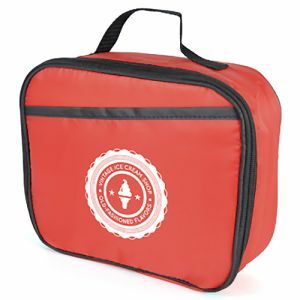 Our favourite branded cooler bag is perfect for an office lunch - the Zippered Cooler Bags in red, white or blue come with a matching lidded lunchbox, knife and fork. 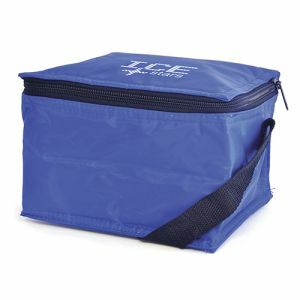 These compact promotional cooler bags are perfect for taking a healthy breakfast to the gym or the office but will keep lunches or al fresco food fresh for hours and look great at the same time. 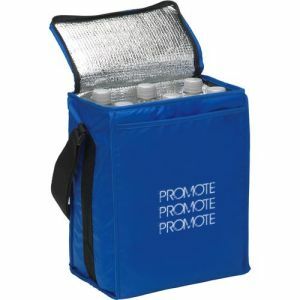 Maybe you’re still not sure which might be the right style of printed cooler bag for your business? 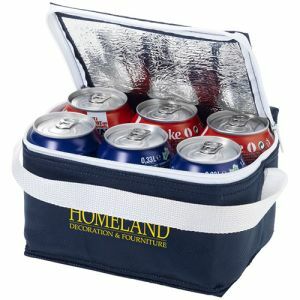 The multi-pocket cooler bag ticks all the boxes. 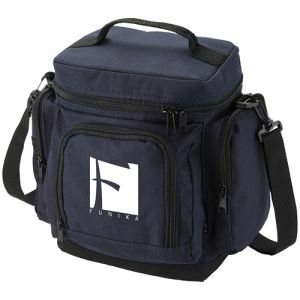 They have multiple pockets to keep food, drink and personal effects separate, top carry handles and adjustable shoulder straps. The good choice of colours could even allow you to match them with your corporate colour palette, club, team or school colours. 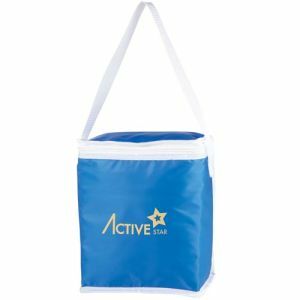 And don’t forget, promotional cool bags also make fantastic merchandise to boost sales or fundraising for schools, PTAs, charities and more. 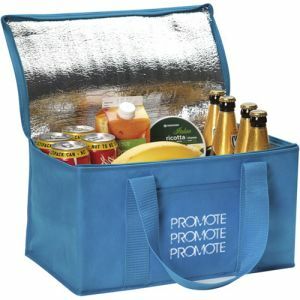 If you’d like some advice, give us a call to discuss your branded cool bag requirements and we’ll be happy to help you.